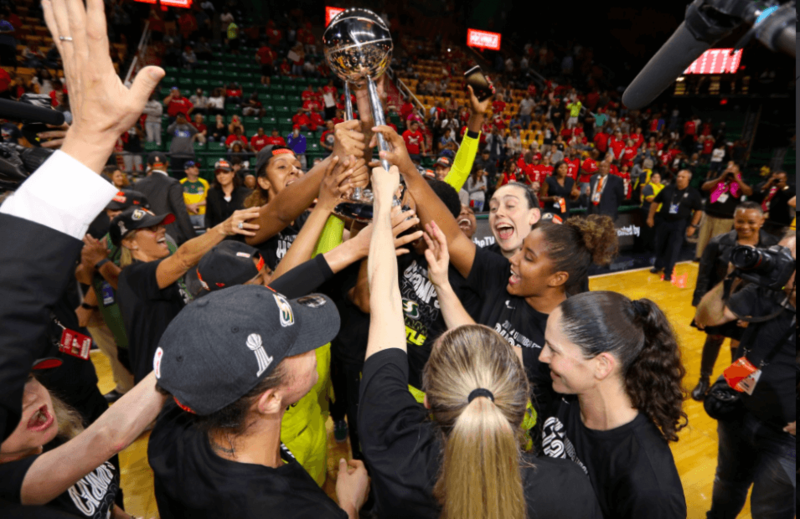 The 2018 WNBA Finals was the best-of-five championship series for the 2018 season of the Women’s National Basketball Association (WNBA). It featured the top-seeded Seattle Storm and the three-seeded Washington Mystics. The series began on September 7, 2018 and ended on September 12, 2018. Ultimately, after winning the first two games at home, the Storm went on the road and completed the 3-0 series sweep. It was the franchise’s first title in eight years and third overall.